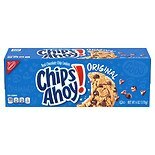 Shop Nabisco Chips Ahoy! 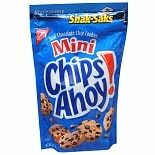 Cookies Chocolate Chip (13.72 oz. )13.72 oz. 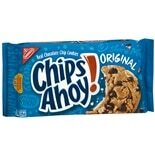 Shop Nabisco Chips Ahoy! Chocolate Chip Cookies (6 oz. )6 oz. 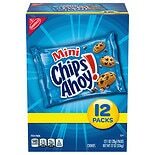 Shop Nabisco Mini Chips Ahoy! Cookies (3 oz. )3 oz. 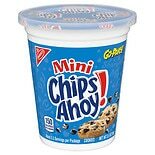 Shop Nabisco Mini Chips Ahoy! 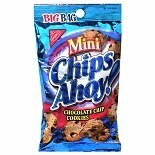 Real Chocolate Chip Cookies (8 oz. )8 oz. $649$6 and 49 cents$0.54 / oz. 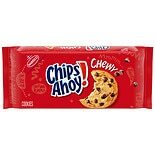 Shop Chips Ahoy Cookies Chocolate Chip (3.5 oz. )3.5 oz. 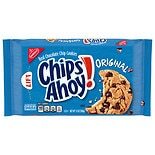 Shop Chips Ahoy Cookies Original (13 oz. )13 oz.